Acumatica ERP is a web-based financial and business management system that improves the productivity of your organization. The software runs on servers in your private network or hosted on the Internet so it can be used from anywhere in any device. Acumatica ERP is an ideal solution for small to mid-size businesses. It can be used in multi-entity organizations with thousands of employees in many countries and currencies. Acumatica provides a robust set of core financial, business, and CRM features that can be used in any industry. Manage quotes and orders, track inventory, automate purchasing, and improve customer service. 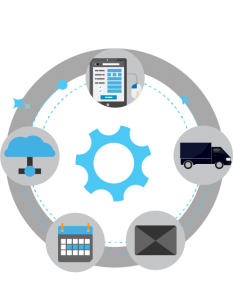 Acumatica Distribution Management is fully integrated with CRM, financials, manufacturing and project accounting for visibility across the entire organization.